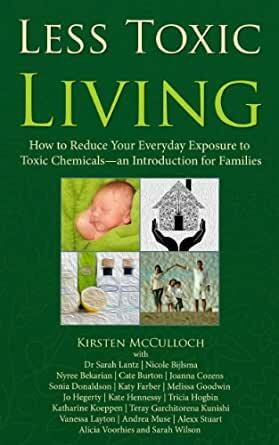 Less Toxic Living is a down to earth book that will help you limit your family’s exposure to dangerous chemicals in your home, cleaning products, food & water, cosmetics & skin care, and plastics. With chapters from nineteen inspiring contributors, including the bestselling authors of Healthy Home, Healthy Family and Chemical Free Kids, this book provides a user-friendly introduction to a range of issues and effective solutions, with ample references for more in depth information. I started reading this book because I have issues with chemicals, strong smells and skin reactions, so I am interested in trying to minimise them in my life. The articles are easy to read and informative, I've learned new things and found practical suggestions on how to make my life greener. I'm impressed with the easy way its laid out, I don't need a science degree to understand, and I'm going to use some of the recipes. If you don't know where to start, this is it! Plus her site will help keep you up to date. I plan on recommending this book to friends and family. This is a great book filled with information on how our beauty products, cleaning products, etc are poisoning us. 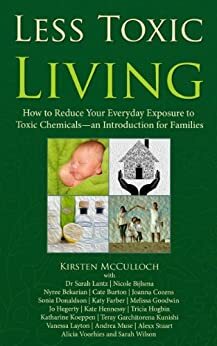 I am just starting out on the journey to create a home with less toxins and this book had so much information. I suggest anyone that wants a healthier home should read this book. I simply can't recommend this book highly enough. It is full of well researched information, written in an easy to understand, conversational style, but with plenty of references for those who want to delve further. We have made many changes in our home and continue to change more, bit by bit. If you care about your health, or that of the environment, I seriously suggest you read this book. This book is great to begin one's journey into cleaning without toxic chemicals. As each cleaning situation is different I find that the suggestions can be modified to suit easily and safely.